Jaipur, the Pink City, is well known for its tradition, hospitality and diversity of places. We at Hotel Raghav Palace provide you luxury accommodation at the heart of Pink City with peaceful environment at affordable with other like-minded travellers who start their journey into India from here. Our hotel is a renowned budget hotel in the category of budget hotels in Jaipur. We are one of most experienced and renowned hotel in Jaipur. We provide quick online hotel booking to all our guests from different parts of the world. We are approved by Govt. of Rajasthan. We provide exciting discounts from time to time to our guests. 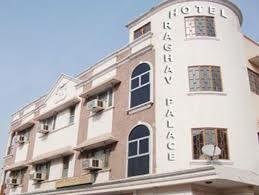 Hotel Raghav Palace is 0.5 km from Main Bus Stand,1.5 Km from Railway Staion and 10 Kms from the Airport. All major Govt. offices, corporate offices and city sight seeing are easily approachable and are within the radius of about 5 Km from the Hotel. Experience the fine art of hospitality at Hotel Raghav Palace, Jaipur. We go the extra mile to make sure you have a great time in Jaipur. We provide exquisite facilities as compared to other Jaipur hotels.